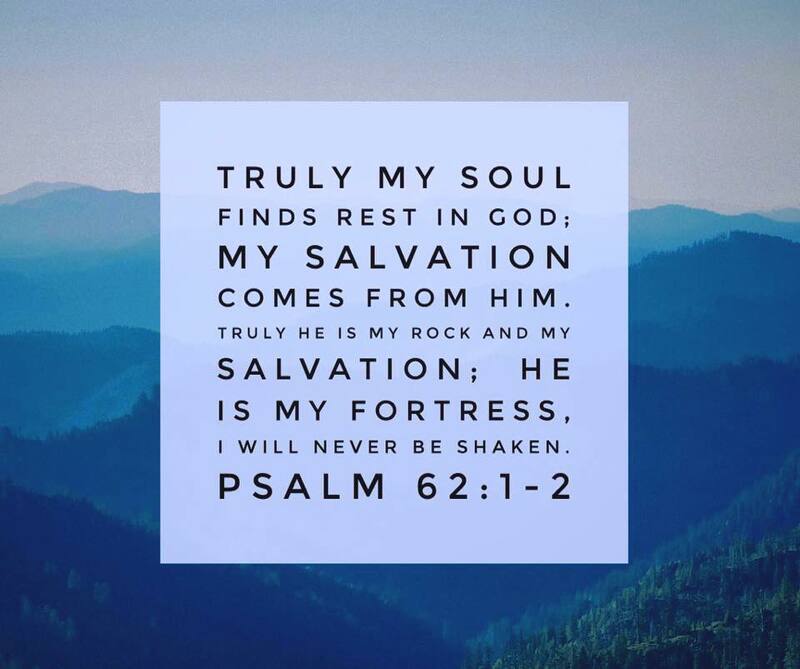 Regardless of what you may be facing today, place your trust in the Fortress of hope, and you will not be shaken. God is the giver and foundation of your faith. He is the author of salvation and eternal life. He commands all things seen and unseen. He provides the promise of an abundant life and desires to fulfill that for you. He has the omniscient ability to untangle the snares of adversity and part the stormy sea. He alone knows the path to peace. He has a plan for your life, including all the seemingly impossible predicaments. Trust God. Surrender it to Him with unwavering faith. Pray without ceasing. Open your heart to receive how He may want to heal and instruct you, hone your character and strengthen your faith. God is certainly able to bring you through it with an awesome testimony of His greatness, all for His glory. 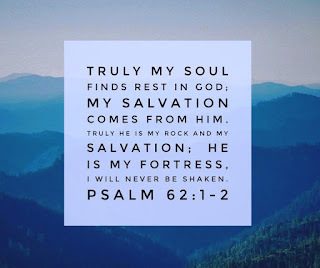 Just let your soul rest in Him, for He is the unlimited source of your help, hope, peace, comfort and strength. And remember...at the end of the day, come what may, you have been promised eternity with Jesus. You need to persevere, so that after you have done God's will, you will receive what He has promised. Be joyful in hope, patient in affliction, persistent in prayer.